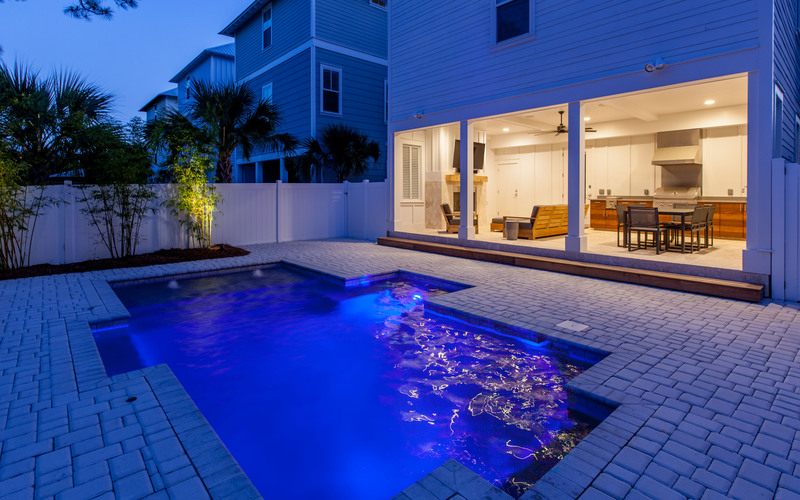 This exquisitely appointed, brand new construction Florida Home is located in Dune Crossing in Blue Mountain. 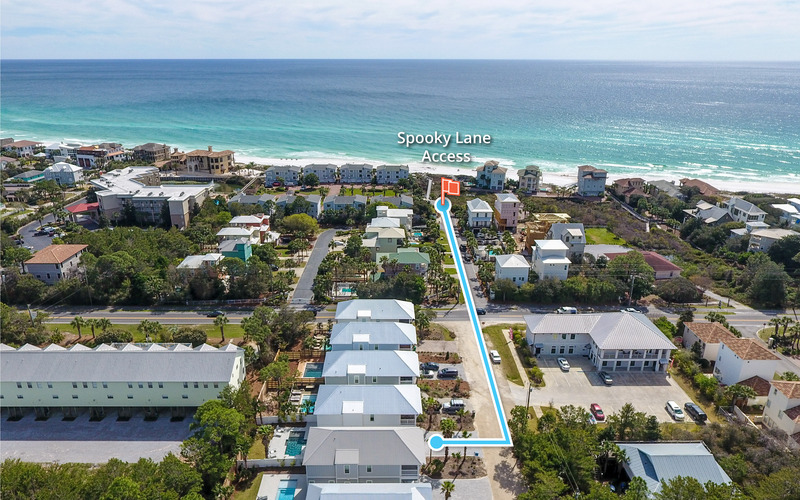 The beach access is only steps away; also a short walk to Ed Walline beach access, Gulf Place and all the shops, art galleries, world class restaurants and art and music festivals that 30A has to offer. The 1st floor has a 2 car garage outfitted with a large refrigerator. 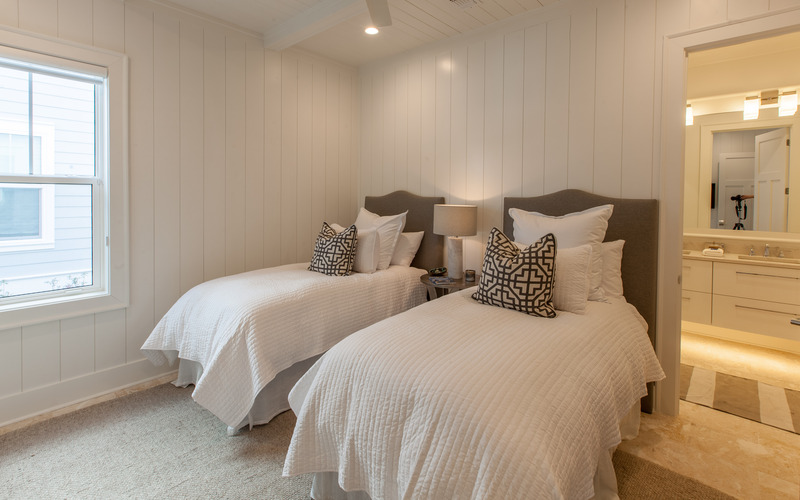 There is a guest bedroom with two twin beds with a large modern bathroom. 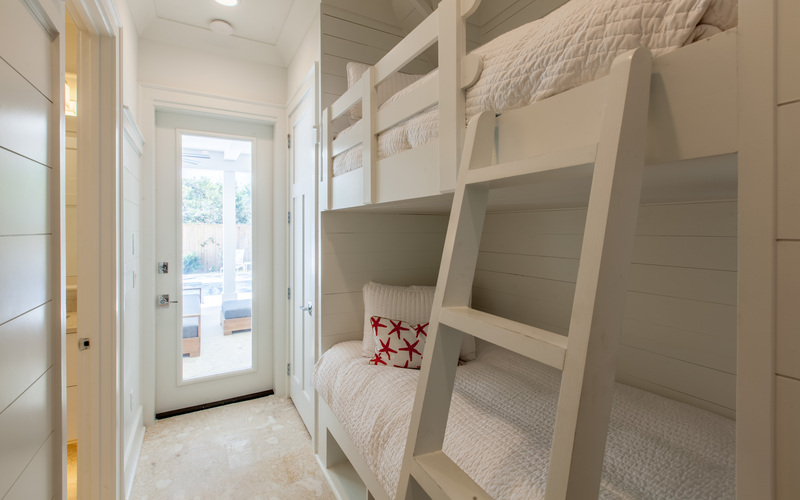 There is also twin bunks built into the hall which is great for kids or when you have extra guests stay over. 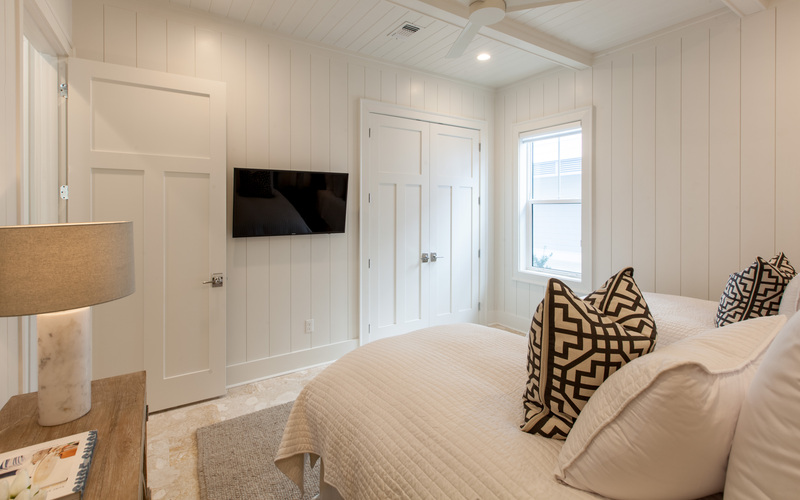 The hallway leads to an outdoor oasis which has everything you could want for entertaining or just spending time with your family. 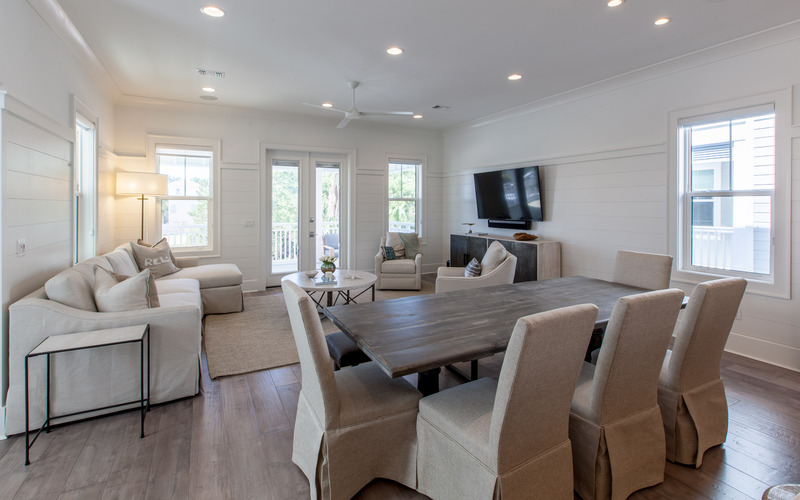 A summer kitchen with a built in gas grill, 8 seat dining table, comfy outdoor seating in front of a 65” flat screen television which is outfitted with Sonos and Apple TV. 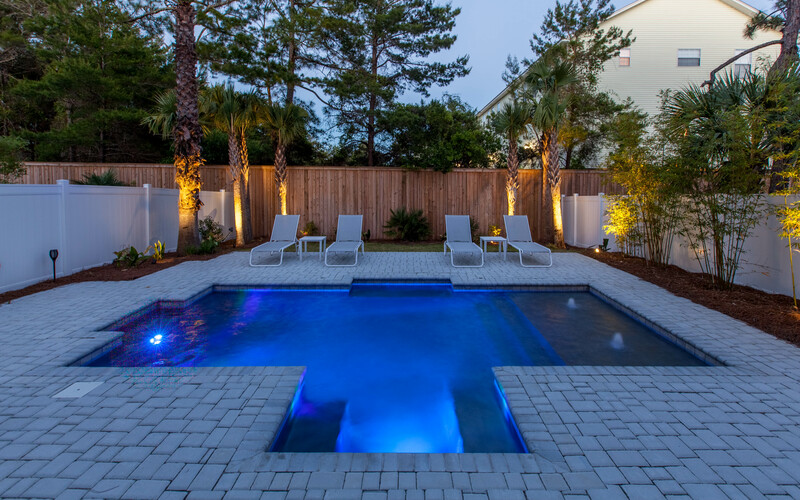 Gather around your own private salt water pool with built in bench seating that allows for endless hours of conversations about the day’s events. 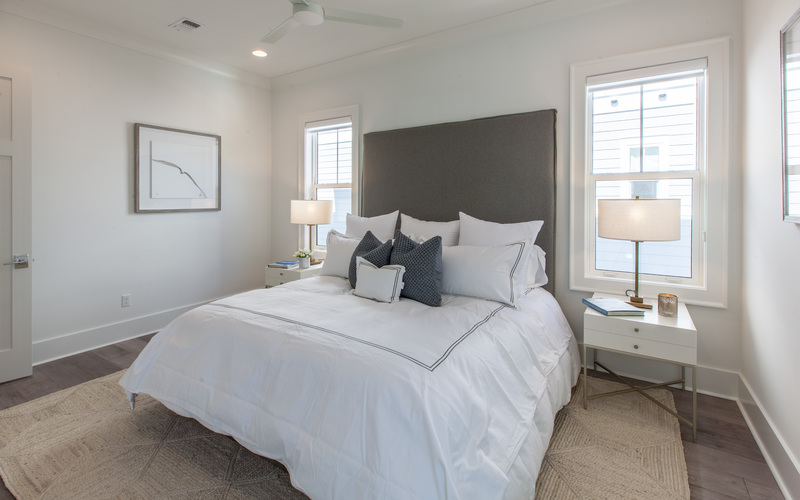 The 2nd floor which features the main living area and the first of two master suites is simply stunning. 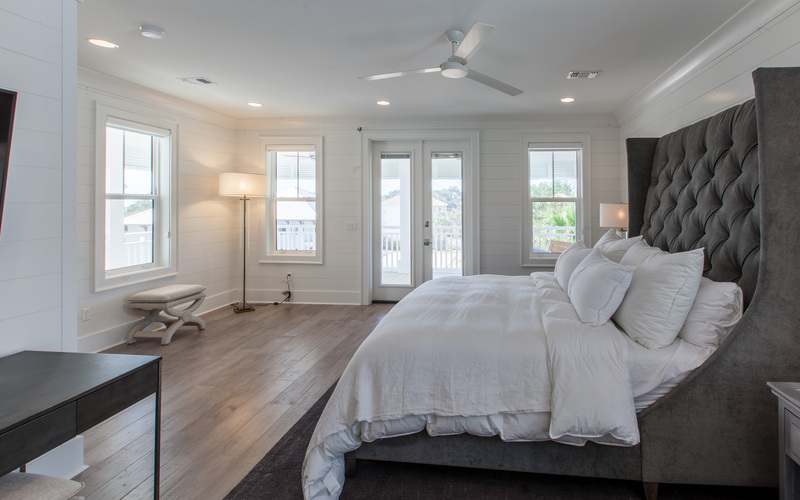 It features a large open concept living and dining area, lots of large windows, custom shiplap, 10 ft. ceilings with crown molding, and beautiful hand scrapped custom oak floors. 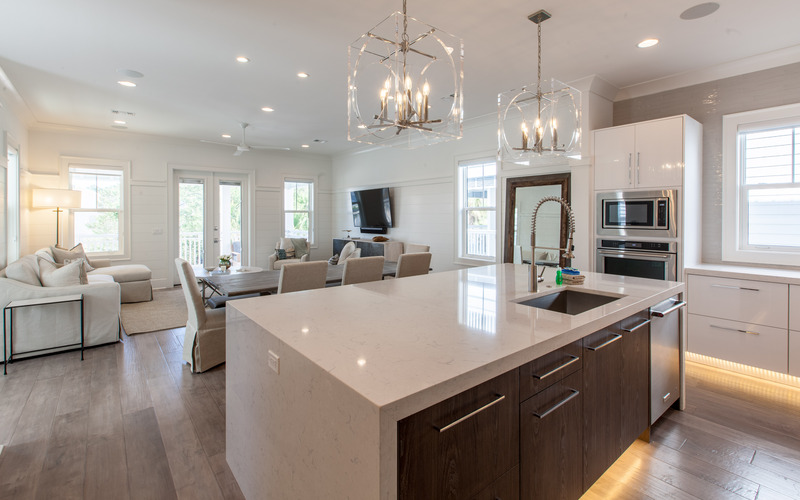 The state-of-the-art gourmet kitchen will blow you away and is fully stocked with everything you need! 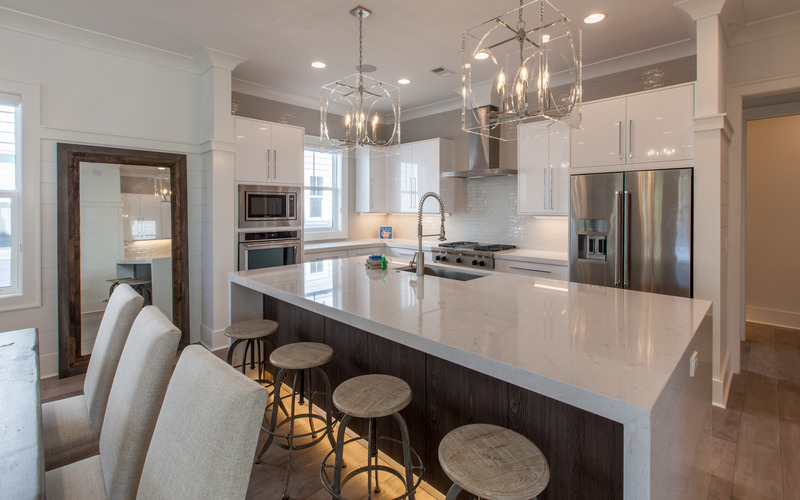 This generous space can accommodate lots of chefs at once with its stainless steel high end appliances, large island with a breakfast bar, custom cabinets and a walk in pantry that could hold enough food for a month. 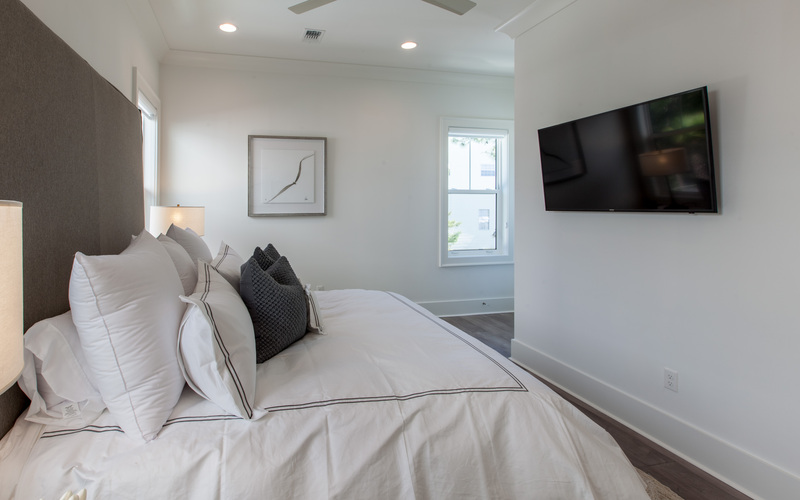 Extra features are a 4 burner gas stove with a griddle, a commercial grade oven hood, a large separate oven and microwave, a wine refrigerator, and an over-sized refrigerator and freezer. 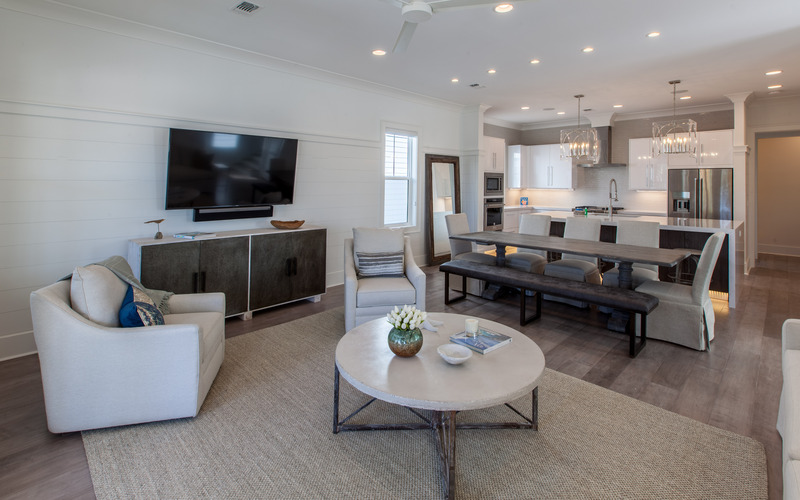 The open concept allows everyone to be together whether watching TV on the 65’ flat screen or hanging around huge kitchen island planning the day/night activities. 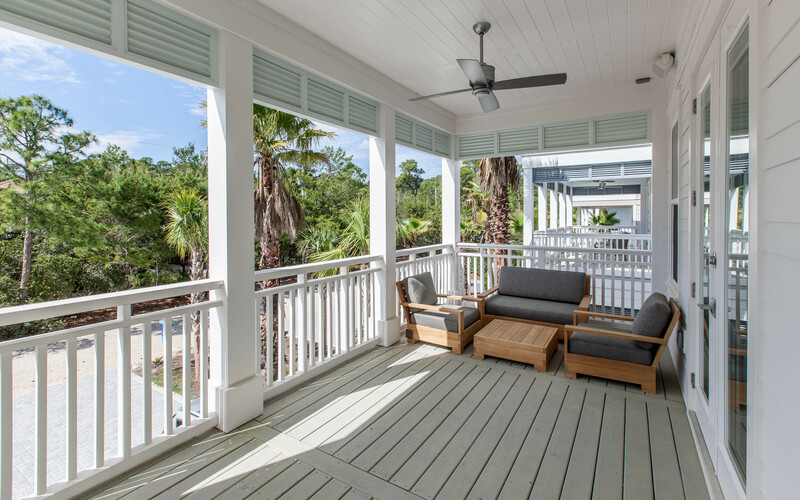 When you want to take break and enjoy the gulf views walk right out from the living room to the large covered porch with beautiful teak furniture. 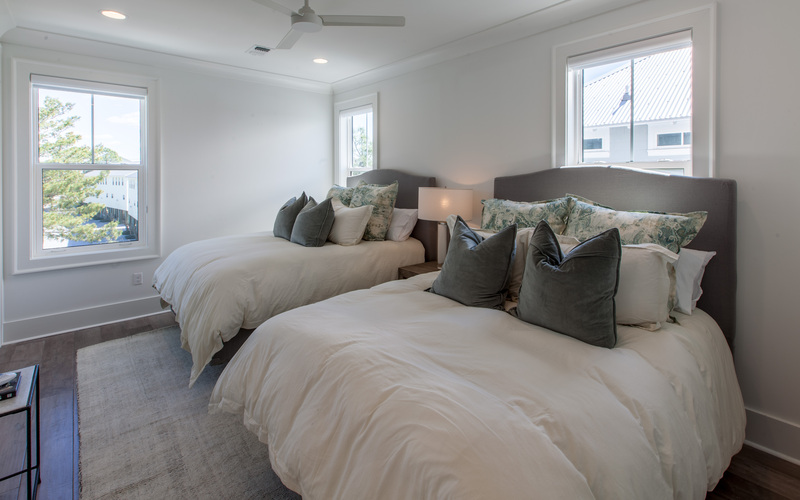 A truly exceptional master suite with a luxurious King Size bed is waiting for you on the 3rd floor. 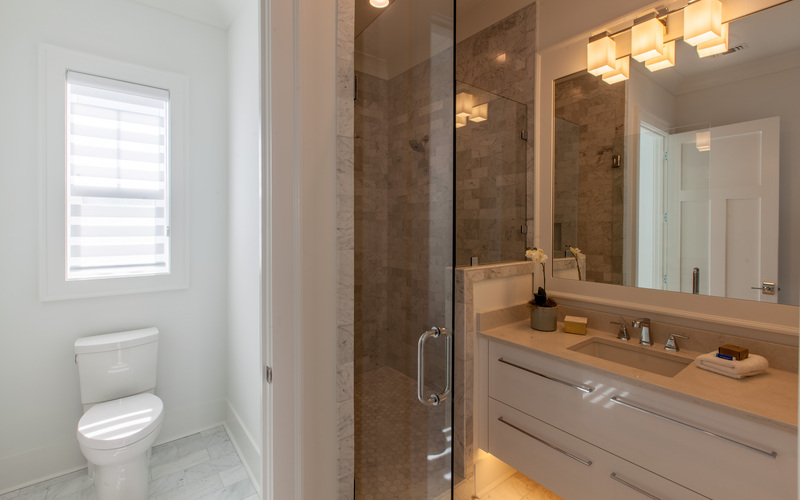 The custom en suite bathroom with it’s over sized stand up shower, his/her vanity, private toilet area, and a huge walk in closest. 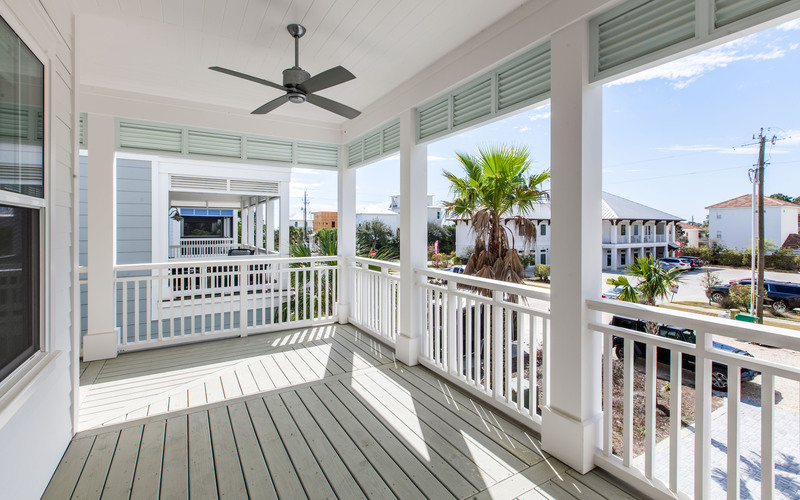 Walk out to your own covered porch that affords you privacy and gulf views. 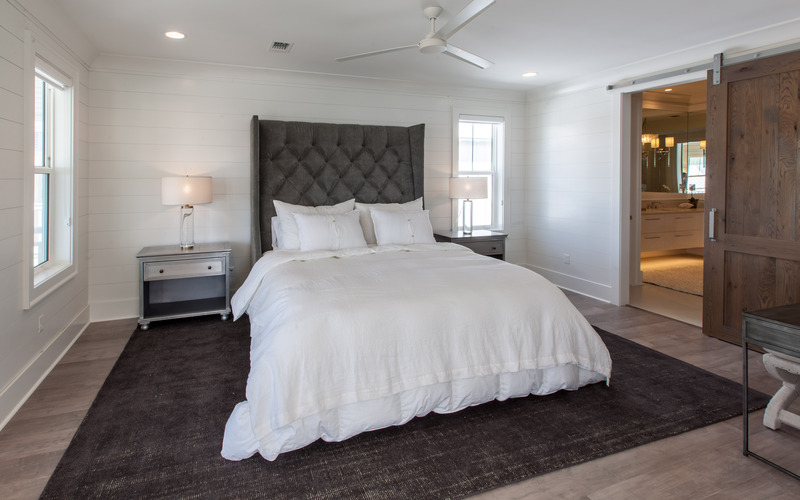 There is also a beautiful bedroom which overlooks the pool that has two queen beds with an en suite bathroom located down the hall from the Master Bedroom. 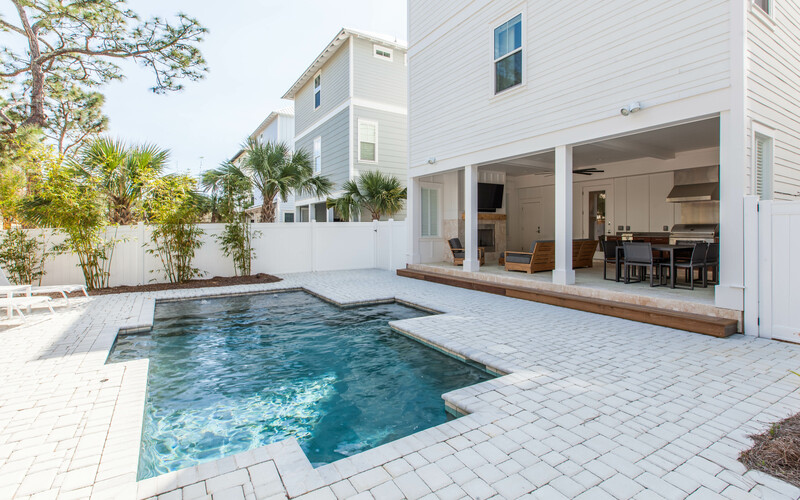 The location of this house allows you to walk to many great restaurants, beautiful beach areas, numerous Gulf Place Shops all without getting in the car! 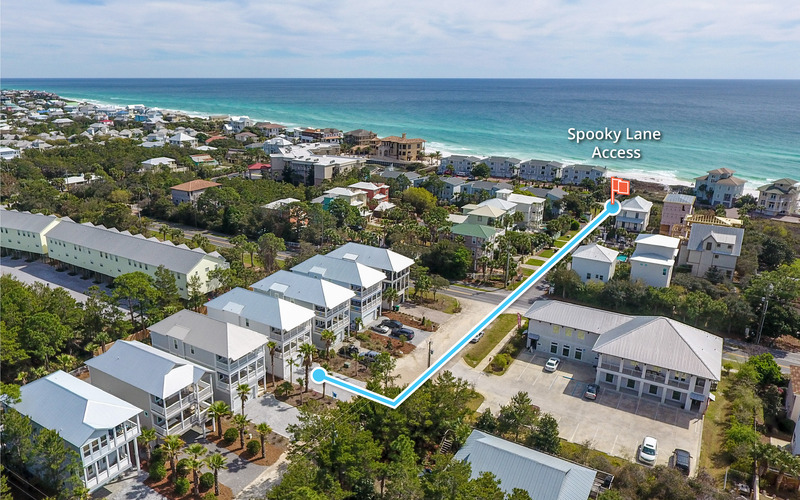 *Beach access is DIRECTLY across the street. 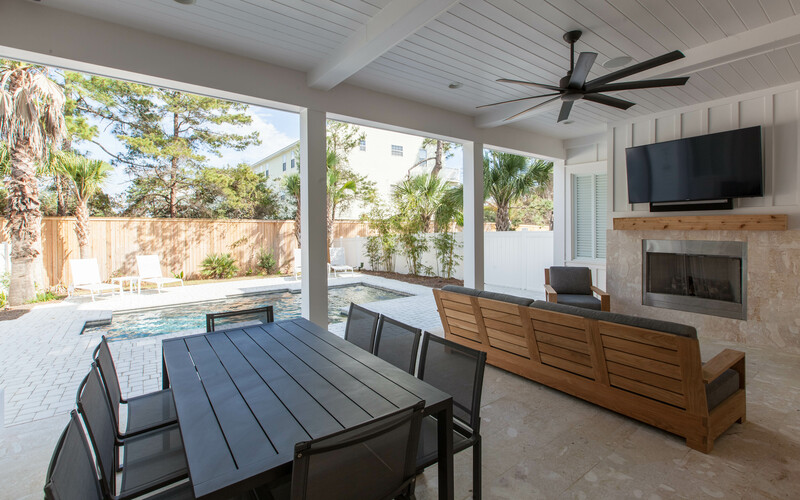 *65” TV’s with Sonos bars both in the living room and the outdoor pool area. Awesome home for a big family! We absolutely loved this home! We have 3 young kids and both sets of grandparents came with us. We loved the outdoor space. Only downside was the outdoor fireplace wasn't able to be used. But the tv and kitchen right there made for an awesome stay! Easy walk to the beach (not crowded). The house was immaculate and very clean and well stocked. Hi David, we are so glad that you loved your stay at 26 N Spooky Lane and that it was cleaned and well stocked. We hope to see you again soon. The best beach house ever! The house was beautiful, clean, and cozy!! We enjoyed every bit of it! Hi Ashleigh, we are so happy to hear that you found 26 N Spooky Lane to be beautiful, clean and cozy. We hope to see you again soon. Already rebooked for another stay! 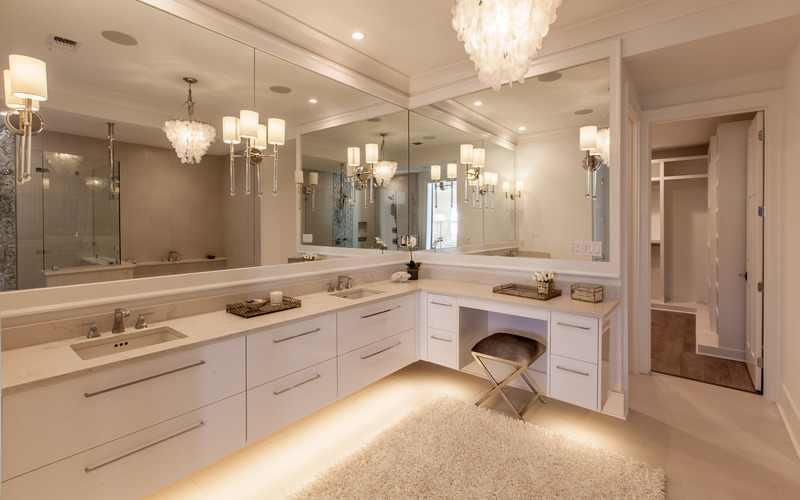 House is gorgeous and pristine. 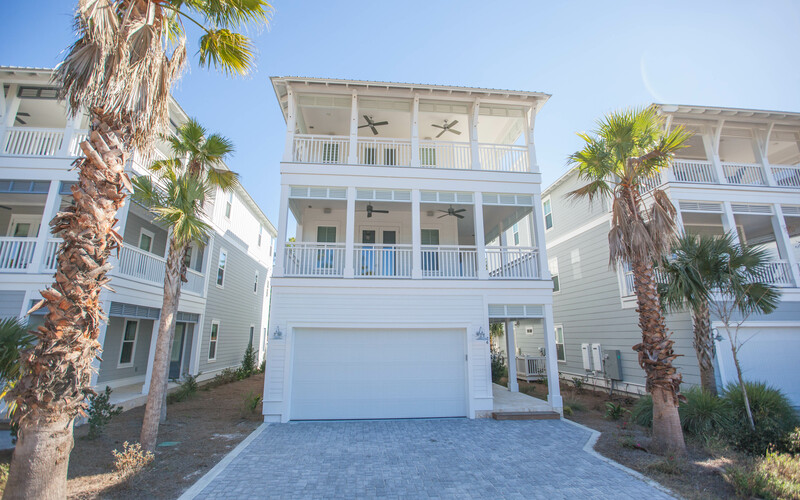 Close to the beach as well as coffee and other food options. 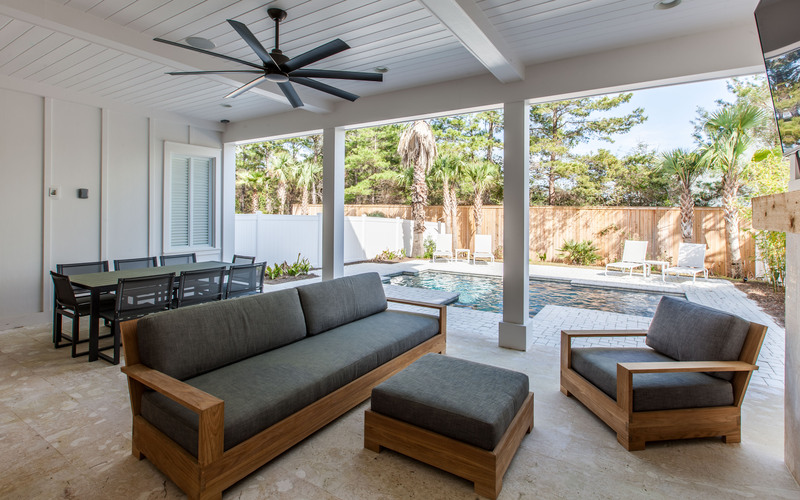 The house also comes with everything you would need including bikes, pool tools, cooking implements, but does NOT come with beach towels. The bath towels in the house are perfectly white and fluffy, so we just bought some beach towels while we were there. 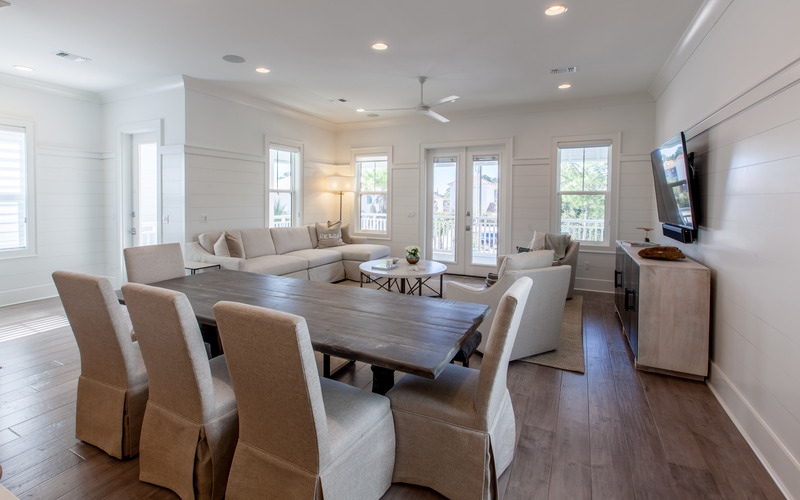 The layout is perfect for having multiple families or couples stay together. Management company is very helpful and communicative. Hi Erin, your kind words are very much appreciated. We are glad you enjoyed the homes so much and that you found Oversee to be very helpful and communicative. We hope to see you again soon. Hi Donna, we are so glad you had such a wonderful time at 26 N Spooky Lane. We look forward to your next stay with Oversee. Great house for 4 adults and 4 kids. 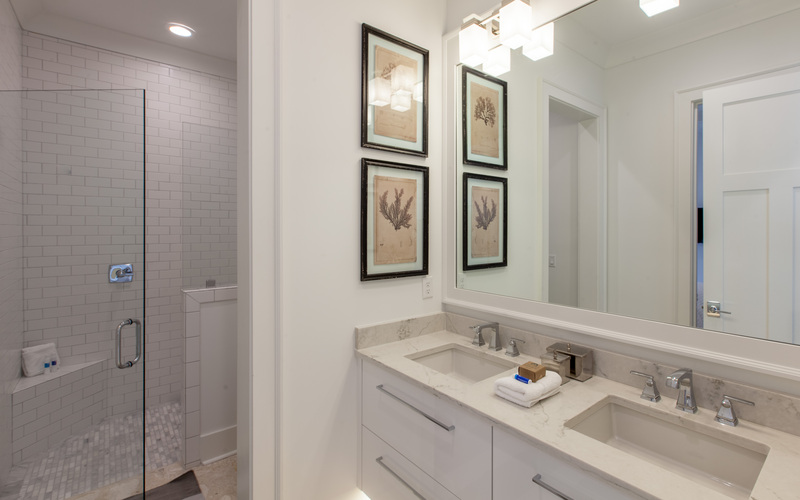 Well maintained with great features like Sonos! Hi Phillip, we are so glad you enjoyed your stay at 26 N Spooky. We hope to see you again soon. We thoroughly enjoyed our stay. 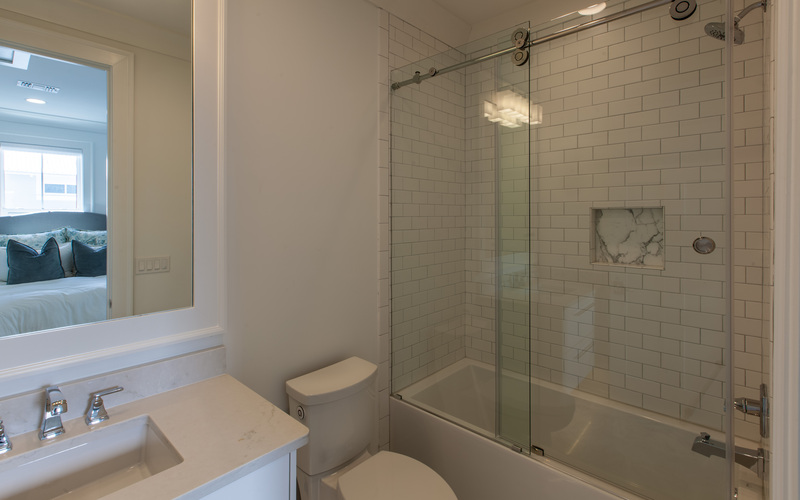 The only complaint we have is that there were no towel racks. Other than that, the house was perfect. We will certainly consider booking this house again, but would prefer to look at a similar property closer to Seaside or Watercolor if there are any. Hi Jennifer, we are so glad that you enjoyed your stay at 26 N Spooky Lane. We hope to see you again soon.